For Guy Midure, CRHS’s Educational Services Professional of the Year, laughter is the best medicine (Krystal Nurse/The Sun). Editor’s note: This story is the final story profiling the employees in the Clearview Regional School District who were given the Teacher or Educational Services Professional of the Year distinctions. 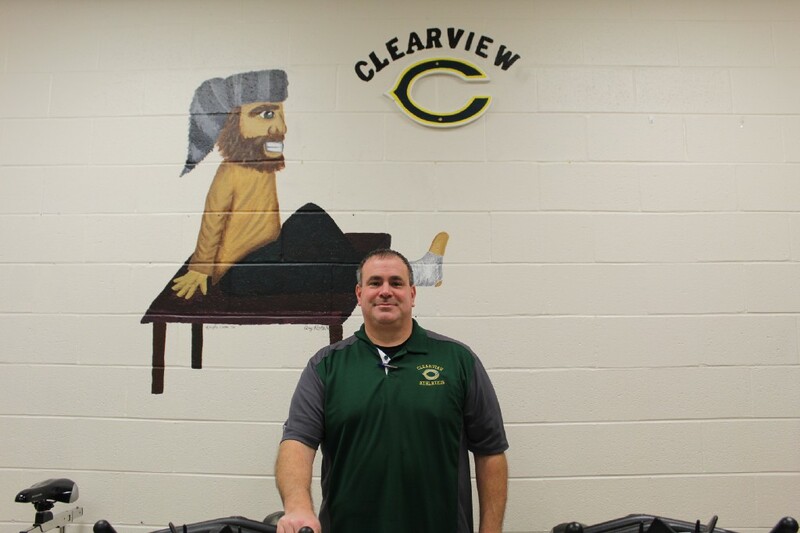 Guy Midure, who was named the high school’s Educational Services Professional of the Year in December, sees and treats hundreds of Clearview Regional students who don the Pioneer on their jerseys. Midure, who’s been at the high school for 22 years, sees athletes from a variety of sports every day both in his small, square room nestled behind the school’s gymnasium he shares with Katie Skinner, the school’s other athletic trainer, and out on the field. He added he sought this career following a car accident when he was in high school that hindered his ability to be active in sports, but he still felt a need to stay within the field and be hands-on. “It’s a way for an out-of-shape old guy to stay involved with athletics and be hands-on without coaching,” he said. Midure joked when he was presented the distinction, he thought he had done something wrong with the superintendent, principal and athletic director all showing up in his room at once, unannounced. Once informed of what was happening, he recalled being choked up and surprised. When treating students, Midure says he adds doses of humor into his sessions with athletes. “Laughter, I think, heals you more than the actual activity you’re doing,” said Midure. He went on to add he doesn’t want his sessions to be the standard physical therapy clinics that consist of four walls, but want kids to feel good when working through their injuries. 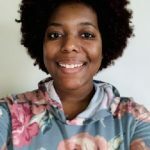 While he is able to get through to a number of students, Midure admitted with the growing popularity of social media and phone usage, it will sometimes hinder the students’ ability to verbally express to himself or Skinner what’s affecting them. With the volume of kids he and Skinner see during and after school, Midure says they’re managed through an electronic sign-in system, and he’ll often have students complete their rehabs during their lunch or study hall periods to aid in the afternoon rush. While he is an athletic trainer, Midure said he will sometimes see a student, faculty, or ex- students and faculty seeking his assistance, however, he said he can’t always do it due to how small the training room is, and that there are only two trainers on hand. Midure said the award comes with $500 that he can use towards any cause. He hopes to establish a team consisting of both kids with and without disabilities at the high school, like what Delsea and Kingsway have.